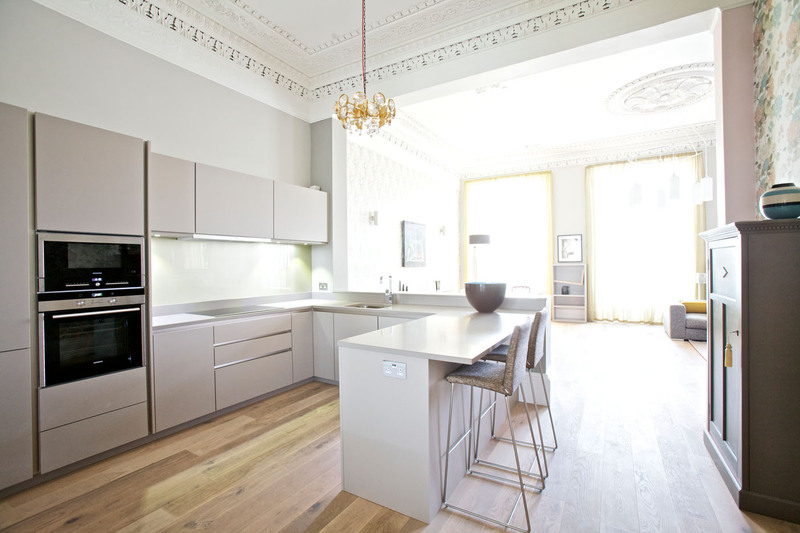 At all times our client was keen to retain as many original features as possible yet provide contemporary interior finishes. 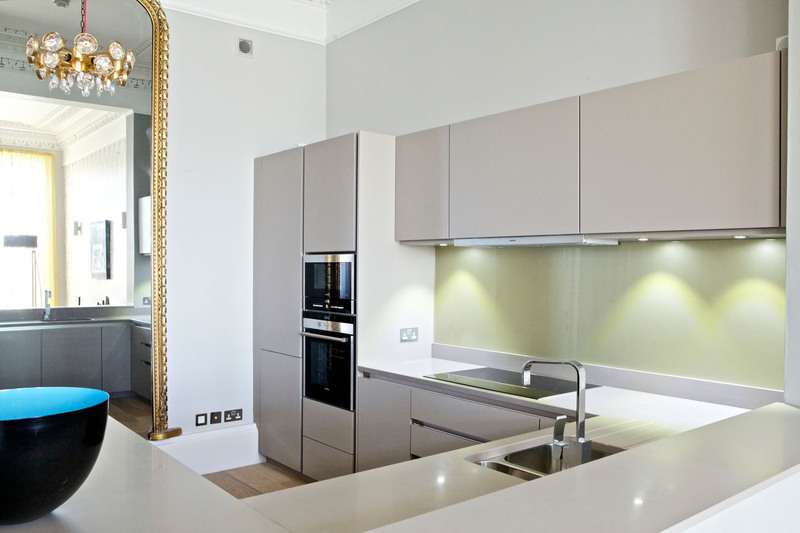 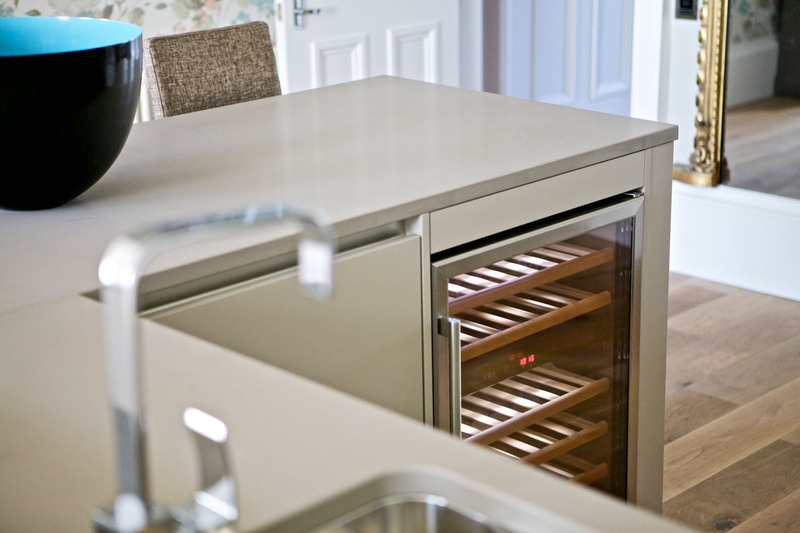 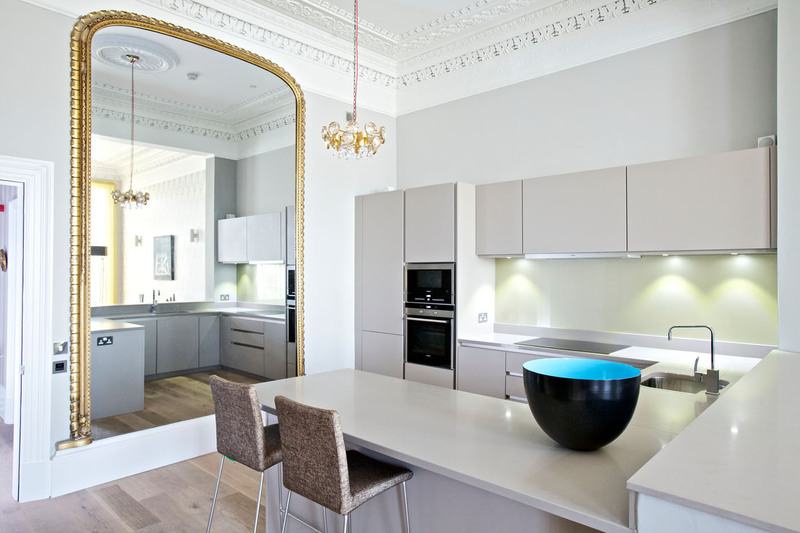 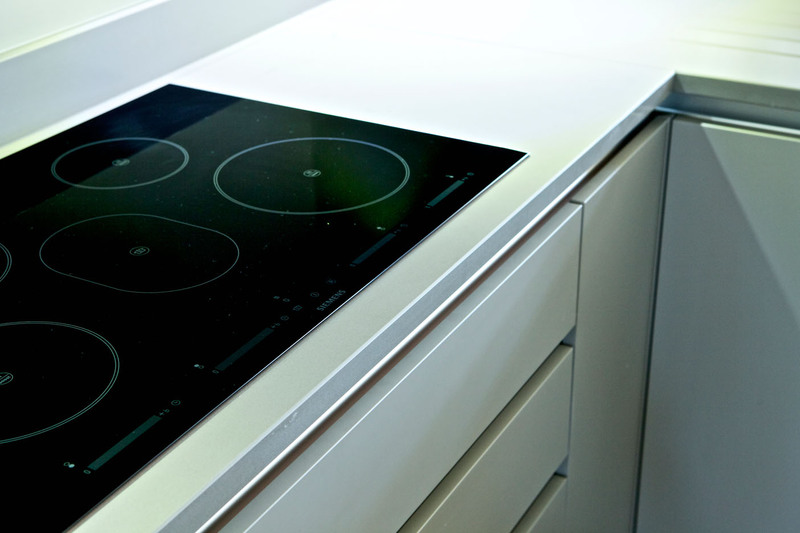 Soft, lacquer furniture ensured the kitchen worked well with decorative period features whilst the handle-less streamline design, slim worktops and Siemens appliances provided the contemporary style to suit the brief. 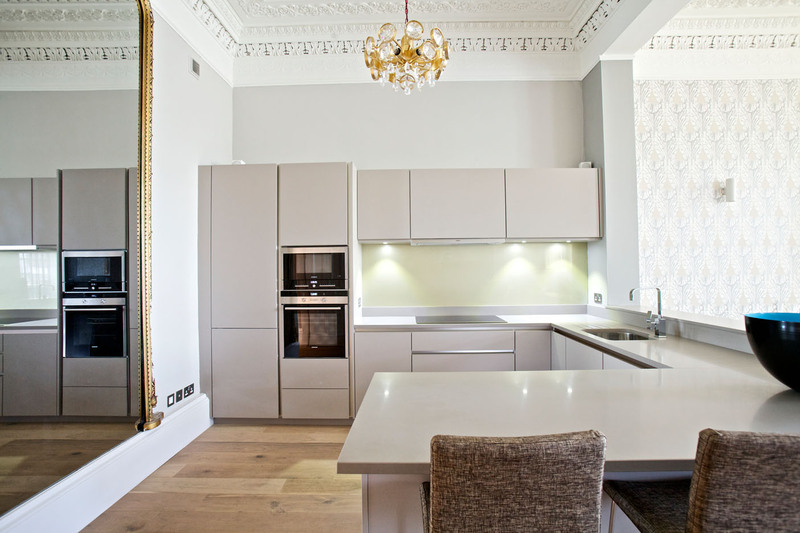 "Their accurate design service, their assistance with marketing has proven successful to date for Wemyss Properties and we very much hope that this relationship continues."